Thoughts on uride? Pros? Cons? Is it cheaper than a taxi? Never tried Uride, but tried Uber in Ottawa, honestly if we had that here I would give up driving. Let someone else deal with the dummies on the road and keep my blood pressure down. It was cheap too. Sudbury’S ride share app! Like a taxi but cheaper, especially if you’re going long distances! Used it a few times … no issues, all the drivers have been amazing so far, cheaper than a taxi. My opinion is going to be biased because I drive for URIDE in my spare time. However, based on customer feedback and comparing with taxi service, so far we are providing a better experience at a cheaper rate. To compare rates, I had a fare going from downtown out to Lively, with three stops in Lively. The passenger told me a taxi cost him $65, with no extra stops. His fare with me was $57 and that included the 2 extra stops before his house. As for the better experience, I’ve used URIDE myself and I much prefer it over taxi. Judge for yourself though, download the URIDE app and try us out. Devyn Ronholm buses don’t run late hours. Sarne Charles Hi! How does the insurance work, while working for URIDE? Sarne Charles is it like this? Gail Decaire To see all the driver requirements, please check out the following link. Jen Stone Check out the link below. Sarne Charles and uride will hurt cabbies ..do they care …not a chance in hell ..
Do you have to pay to register your vehicle with the city or do you have to register it at all??? Do you pay taxes/UI/CPP/ or are you considered self employed??? Below is the link to the City of Sudbury taxi by-laws and en excerpt that explains PTC. “Private Transportation Company” means any Person that offers, facilitates or operates prearranged transportation services for compensation using any software or application or telecommunications platform to connect passengers with PTC Drivers. Jen Stone I ignored your questions because you’re obviously trolling since your husband works for Lockerby Taxi. I posted the by-laws so everyone can see for themselves that your claim is inaccurate. To those truely interested, please check out the Uride Sudbury page on Facebook. I would feel comfortable f they were required to be commercially insured and had to follow the same rules as taxi companies as far as mechanical fitness, getting licenced by the municipality, etc. So when the drivers turn on the app, they are now under the commercial insurance of URIDE. Gail Decaire, URIDE pays for their vehicle insurance? If that is the case, then they would just need to comply with all the same regulations that taxis do. Jane Pascoe why not ask URIDE, like I did! Jen Stone, I am aware they don’t. I said I would be comfortable if they did. Gail Decaire, I don’t have to. Please read my original comment and the second one I posted. There was no question asked in the first and I said “If that is true” about the insurance in the second.. I’m aware that they do not have to meet the same conditions as taxis. IMO, they should have to. Well due to the fact theres less BS and red tape, URIDE and UBER drivers can take you to the same places for less. Why pay more? They are regulated to only be able to use newer vehicles and they have to pass inspections, just like taxis. Want more info? See what it takes to become an UBER/Uride/whatever driver. 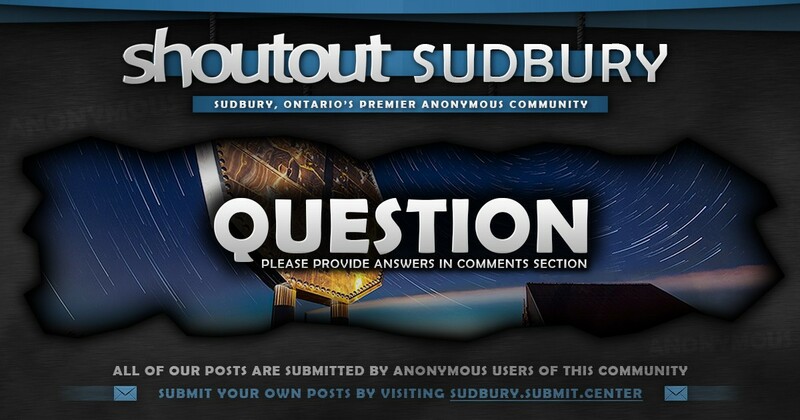 I thought Sudbury has a bi-law against ride-sharing companies? Uride is actually just like Uber. Daniel Guillemette Search for Uride in the app/play store. I’ve used it twice now and both of the guys were amazing. Super quick to arrive and cheaper than a cab. A lot cleaner than a cab as well.